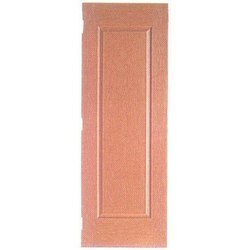 Our range of products include moulded panel doors. Our magnificent variety of termite and water proof one piece Moulded Panel Doors are available in varied colors and shapes. Better quality wood is used in its construction and these can be availed at spirited prices. Like any door it is a changeable structure used to close off an entrance, characteristically consisting of a panel that swings on hinges or that slides or rotates inside of a space. These are obtainable in various shapes and sizes. Looking for Moulded Panel Doors ?